BUFFALO Polished Stainless Steel Pickguard for HH Telecaster, and Blacktop Tele. Like gleaming chrome leather hide. The Buffalo design is a fine leather-like pattern etched permanently into the steel, then polished to a glassy chrome steel bling. It will never wear down! A very durable scratch resistant surface and perfect for frenzied player action. 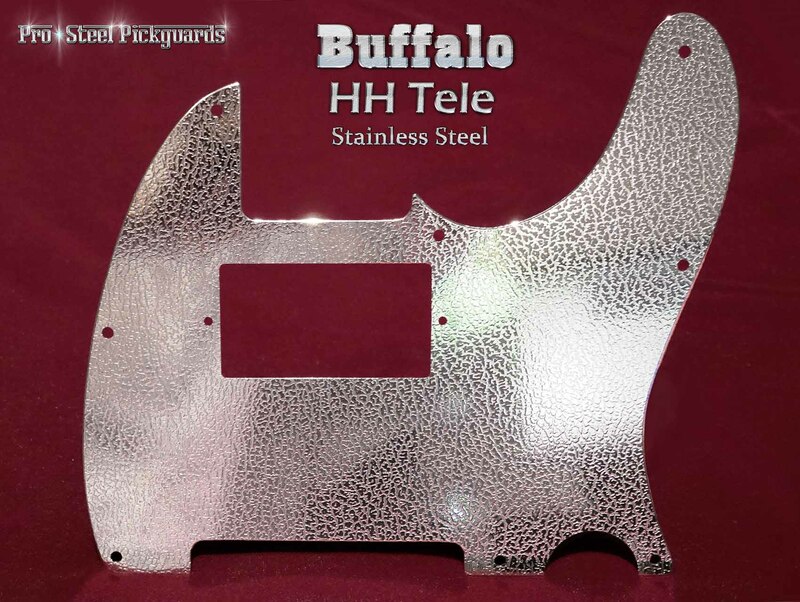 This Buffalo is made to fit Telecasters with 2 Humbucker pickups, with covers or no covers.